Easter, like most other holidays, has become a huge source of plastic and other waste: Every chocolate egg is wrapped in foil or plastic and Easter decoration is rarely produced fairly. Creating a green and conscious Easter decoration for your home can be challenging. Luckily, Pinterest ihas tons of DIY projects that not only can be made with things you most likely already own, hence not creating extra waste, but also look magazine worthy! 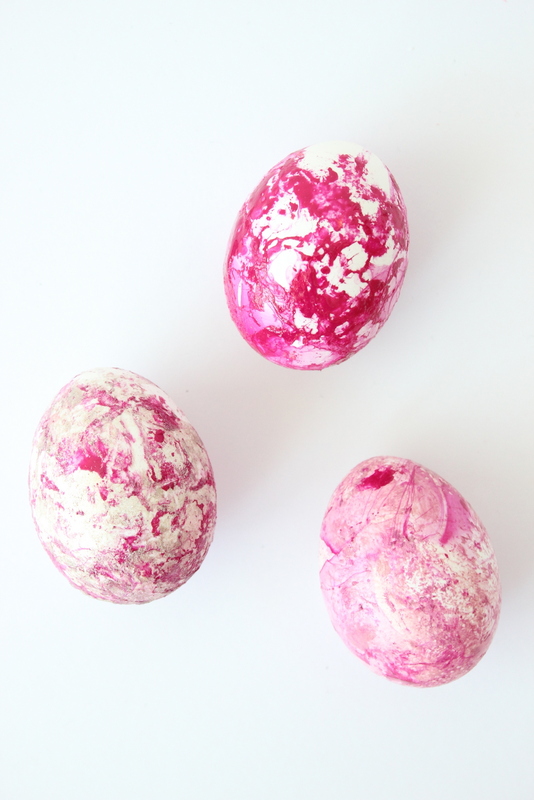 A perfect example are these DIY marbled Easter eggs using nail polish. This Easter I decided to try two DIY projects: One using old nail polish to create marbled eggs and one using natural dye. 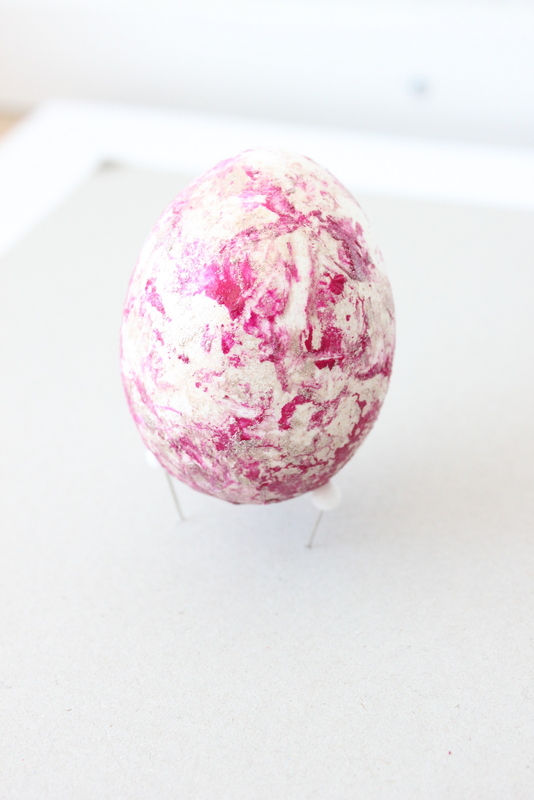 In this post, I will show you how I fared with the DIY marbled Easter eggs using nail polish. 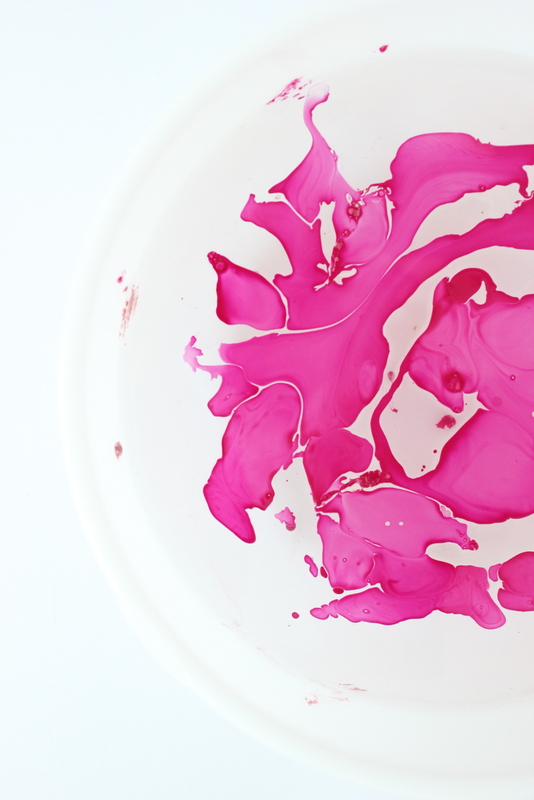 Now, you might be thinking: “What is sustainable about using old nail polish to marble eggs?” Well, if you’re like me, you are sitting on a bunch of old nail polish that has either gone bad or that you are no longer using because it’s toxic. So do you just throw it out? That doesn’t sound very sustainable to me. I decided a while ago to swap all my toxic nail polish for green options but I kinda thought it wasteful to not use it for some DIY projects instead: making marbled jewelry holders or marbled ceramic tea cups for example. Most of the nail polish colors are colors I still love and that work great on any household item. So I thought this is the perfect occasion to put them to use. Important note: Not knowing if and how the polish might affect the eggs, I will use them as decoration only. 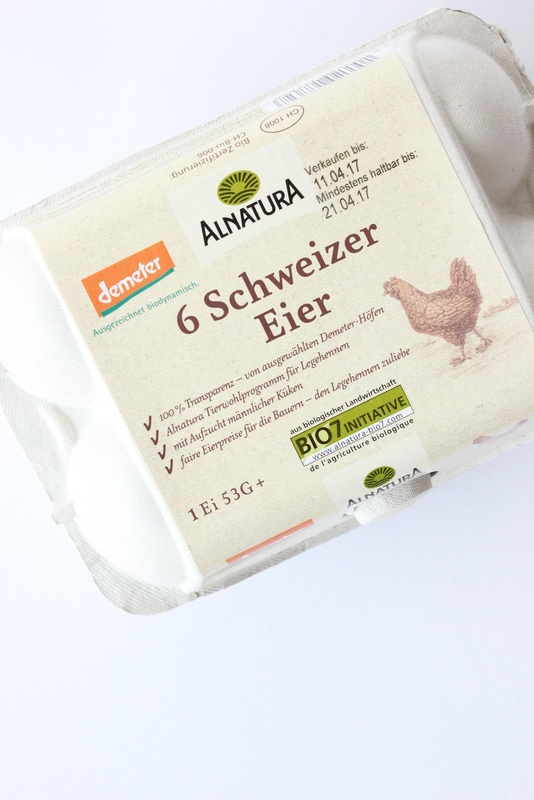 Unless you don’t eat eggs, it’s best to empty the eggs through a small hole in the shell and use them for cooking/baking. On the other hand, I will eat the naturally dyed eggs as these are safe to eat. Fill the plastic container with lukewarm water. If the water is too cold the nail polish will drop to the bottom. Fill it up to 2/3. Drip the egg in the water and turn it on all sides to create an overall dye. This will take some practice and trying out the different nail polishes. Some will work better than others. I suggest you start with fewer drops, this creates a lighter, more pastel look. Remove the eggs from the water, gently shake off excess water and put them on pins on a cardboard or other surface to dry. 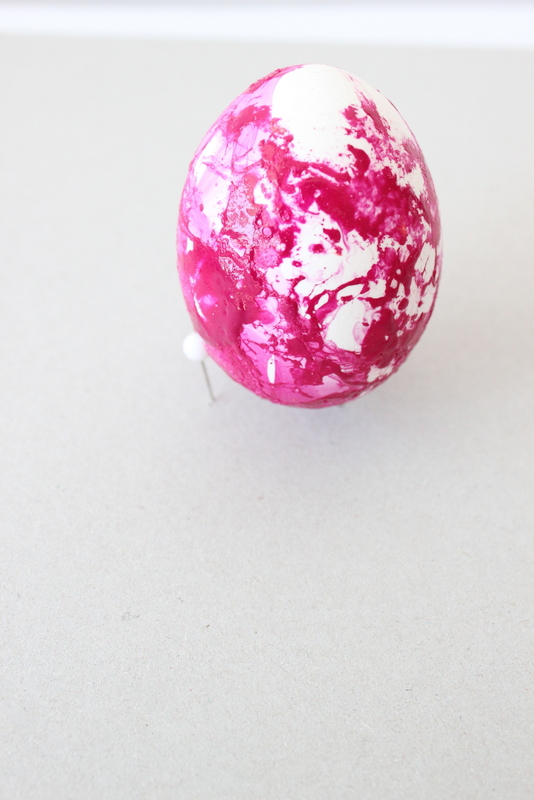 I actually was pleasantly surprised how these DIY marbled Easter eggs turned out. I decided to only use gold, pink and rose colors to create a feminine look. It was a really fun project! You need to try different ways of turning the eggs in the water to get the type of look you are looking for but that’s part of the fun. Happy Easter and stay tuned to read how I fared with the natural dyes.